Current articles and gallery shows featuring Deborra Marshall Bohrer's art, paintings and poetry. 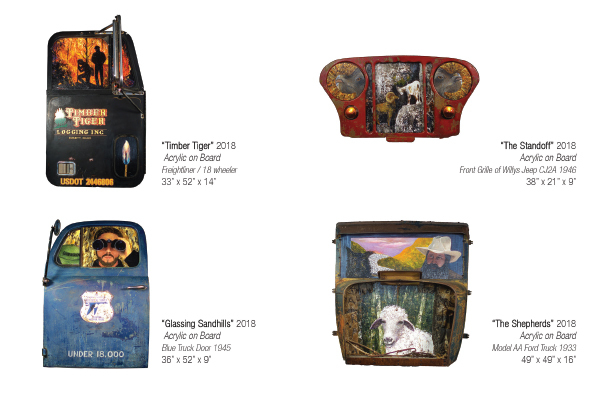 The desire to exhibit Contemporary folk Art has been there since the impact of Purvis Young in my mind. 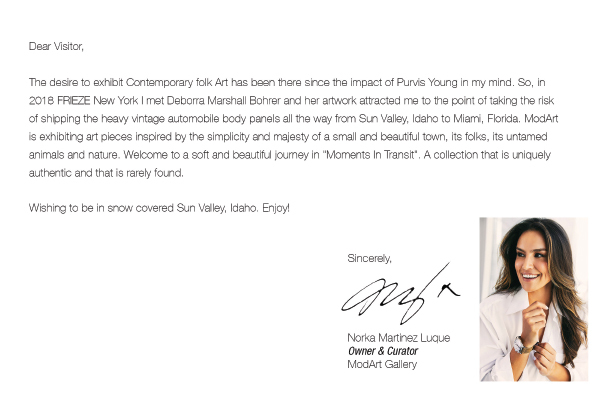 So, in 201 8 FRIEZE New York I met Deborra Marshall Bohrer and her artwork attracted me to the point of taking the risk of shipping the heavy vintage automobile body panels all the way from Sun Valley, Idaho to Miami, Florida. 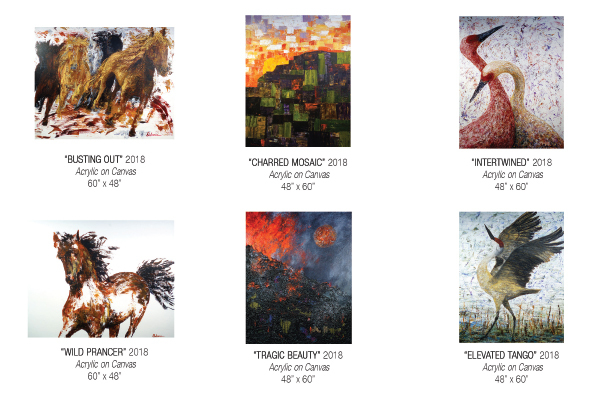 ModArt is exhibiting art pieces inspired by the simplicity and majesty of a small and beautiful town, its folks, its untamed animals and nature. Welcome to a soft and beautiful journey in "Moments In Transit". A collection that is uniquely authentic and that is rarely found. Wishing to be in snow covered Sun Valley, Idaho. Enjoy! "Art is the reflection of life that resides in all of us. It is the wooden spoon that stirs emo­tion. It calms the soul or curdles your blood. A piece of art can be a gentle friend, a stern companion, or a way to escape or revere "normal." “Ah .... there you are."